Designing the quickest, most ferocious production Aston Martin was a challenge we relished. A new pinnacle for the Vantage range deserved a breathtaking design. We took the classic Vantage shape. Forged unique new materials. Designed striking new styling features. V12 Vantage S roared to life. A profile that maintains the iconic beauty of the Aston Martin Vantage, but adds much more, V12 Vantage S packs a stunning visual punch. An all new carbon fibre grille creates a bold new front profile. Inspired by the Vantage GT race programme the classic Aston Martin shape remains, with optional black or titanium mesh creating distinctive appearances. Inspired by the CC100 Speedster concept unveiled at the 2013 Nurburgring 24hr race, the grille outline and struts can also be painted. Classically Aston Martin, yet all-new – our world leading design team delivered again. V12 Vantage S offers the greatest range of exterior options ever created for Vantage. An optional carbon pack layers wing mirrors, rear lamp infills and side-strakes with a symmetrically woven carbon-fibre finish. Roof and rear panel graphics packs - painted by hand - can contrast or complement the body colour. An all new black finish for side window surround offers further customisation. "The balance of Vantage comes from the tension in the lines, form, shape and proportions of the exterior. In the same way that athletes are balanced, poised and controlled in both proportion and motion - whether they are a sprinter crouched in the starting blocks or a downhill skier, Vantage looks balanced in every instance - whether on the driveway, on the road, or on the track." 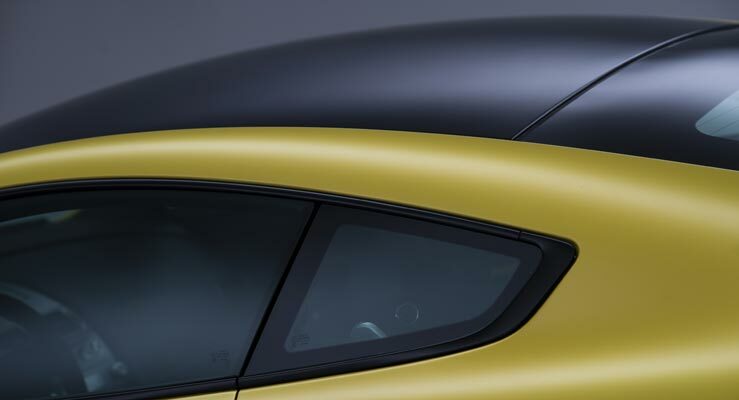 Introduced on V12 Vantage, the iconic four vent bonnet structure has been re-engineered for V12 Vantage S. All four louvres are positioned to provide maximum cooling for the all-new AM28 engine, their exact position designed to complement the car's athletic stance yet never overpower from any angle. Cloaked in the finest carbon-fibre weave the louvres reduce pressure, cool the engine and improve handling by reducing front-end lift. V12 Vantage married design and technology, V12 Vantage S takes this to new heights. 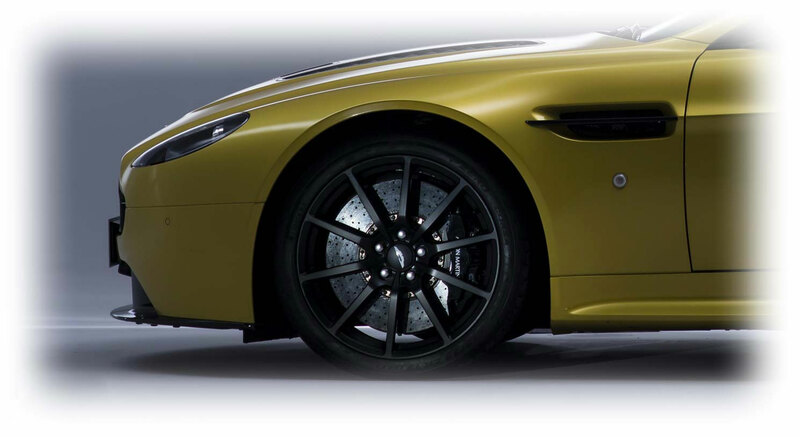 V12 Vantage S debuts two custom made alloy wheel finishes, both using a new lightweight ten-spoke design. Thin yet high-strength spokes clearly display the carbon ceramic disc and calliper for a wheel design with three distinct elements. Forged rather than cast, this specialist structure is one of the lightest wheels we’ve ever created. Available in Silver or Satin Black finishes. Great design marries materials, technology and usability. V12 Vantage S introduces ‘Easy-Start’. 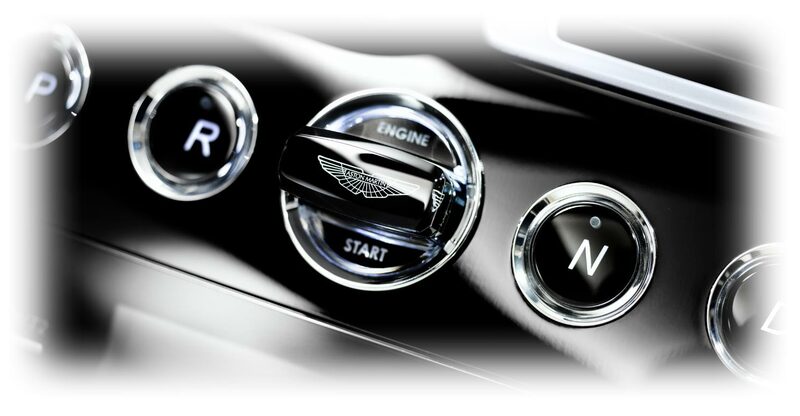 Using the iconic real-glass Aston Martin ‘Emotional Control Unit’, Easy-Start means you don’t have to depress the unit to start the engine. The same tactility, the same feel, now even easier. 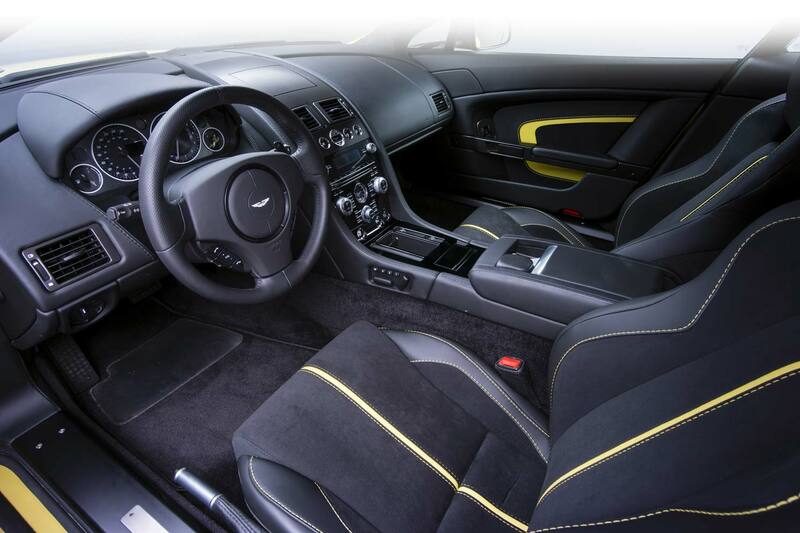 V12 Vantage S introduces re-engineered lightweight seats. An advanced carbon-fibre and Kevlar composite structure saves 17kg, increasing power to weight. Clothed in alcantara or leather with an exposed carbon-fibre rear panel a distinctive studded Aston Martin wings badge is also included for a unique finish. Never opulent but always dramatic, V12 Vantage S introduces all-new interior design options. 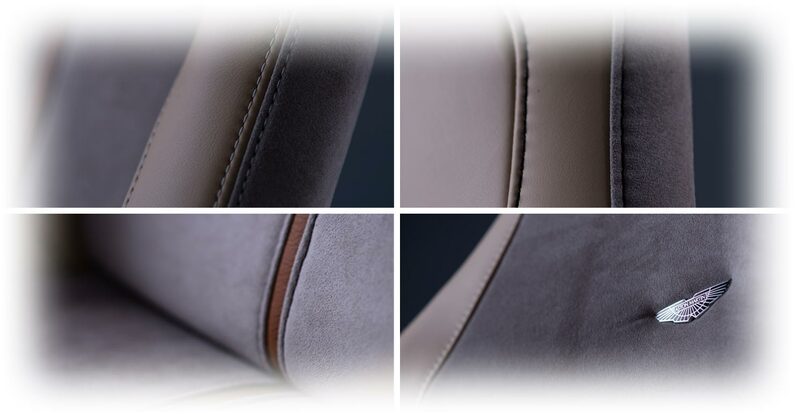 Lightweight or sports seats with new trim layout complement a revised door design to provide distinct colour contrasts. 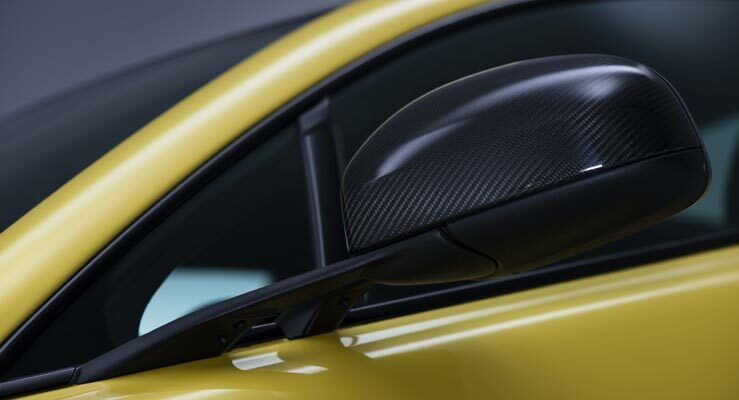 An optional carbon fibre pack lays the finest symmetrical carbon weave on both facia and door pulls. 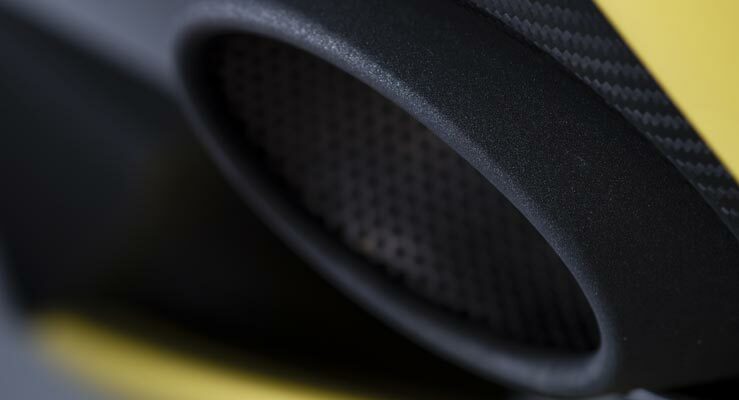 Exquisite detailing even goes down to the pedals with a stunning optional black finish.